Mercari App Review – Legit or Scam? Are you looking for the platform where you can sell or buy the product at a low price you want? If yes then I have a good option for you. For it, you have to think about the Mercari mobile app. Though there is no. of complaints against it and you have the right to ask the following questions. Is it trustworthy to work with the Mercari.com? Is it safe to use or not? What are these complaints? And so on. 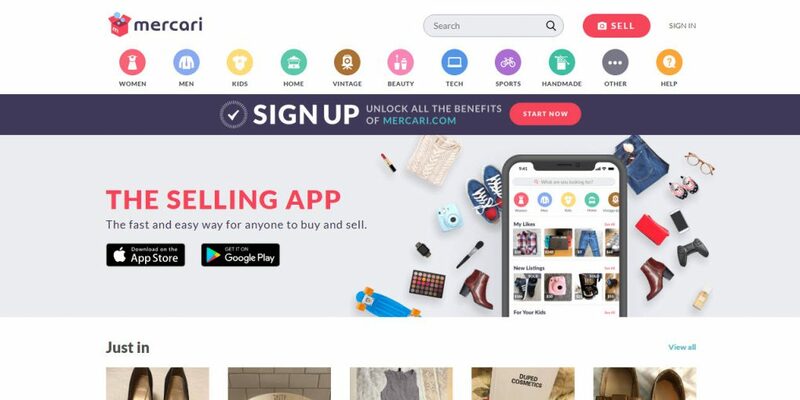 Mercari.com is an online site that helps you in selling and buying your products. So this app will definitely attract the shopping loving people. This app was first time introduced by the Shintaro Yamada in Japan in 2013, and this network was expanded in the United States in 2014. The head office of the Mercari Company is located in the San Francisco, California. More than 2 million people are using this app, but still, it’s less than that of eBay’s 167 million users. The working style of Mercari is quite simple and straightforward and resembles other online shopping sites. But still, if you don’t have any experience before, then the detail is given below. I just want to be very clear that this site is not something that makes you full-time income from home. f you are in that mood then I suggest you see my top recommendation. How to Sell on the Mercari? The very initial step is to create an account and download the Mercari app on your mobile phone. This step is same as many other apps. Now upload the pictures of the items you have to sell and add some detail related to the products. The uploading procedure is quite simple. Now it depends on how good is your product. After the purchaser liked and selected the item and paid for it, you can make the shipping label in your home. One of the best things about the app is that the customer can like your listing and if the majority of the people likes it the list may get viral and the products may sell faster. Now it’s time to send the item to the customer. will share his experience of shopping with you. After receiving confirmation that the buyer has received the item, your payment will be released to you by the Mercari. Once the buyer rates you, now you can also rate him. But remember that the purchaser rating completes the whole process. Download the app from the apple store or Google store. Because without downloading further processing is not possible. Choose the product that you need and pay for it. Mercari will keep the payment and will not give it to the seller until you receive the product and verify it. If the product is according to your demand, then rate the seller and end the process and if you don’t like it then apply for the return policy. This is almost same as that of the eBay. It is up to you that whether you charge for the shipping you or you find out an alternative source. If there is a charge for shipping, you will receive an email after your item has been sold. This email will enable you to print out the prepared shipping label. The point that majority people like is that it is free to download (no registration fee). But the dealer has to pay about 10% of what they earn for every deal. There is a facility for buyers as they can pay to the seller by PayPal, credit cards, apple pay, android pay, or Mercari credits. Now it depends on the seller that he either includes the shipping charges in the product’s price or may charge separately for shipping. Remember that the shipping rate is mentioned in the given detail of the product. If you have issues related to any work and want to contact to the customer service you can do it by using email address Contact@Mercari.com or through their help center explained later in the article because still, they don’t share any contact number. This app is free to download and manage which is a good step. There is a wide variety of products that the seller can upload pictures on the site. In other words, there is no limitation. So a customer can buy various products like cosmetics, jewelry, vintage, collectibles, handmade and many other items. The buyers can also limit their search by keeping themselves limited to the brand. Another facility for the users is that there is a help Center (aid Center) for them. In case of any query they can get help regarding how to use the app, how it works, payment system, refund policy, etc. The buyer is facilitated from all aspects. He can never be in loss because the app guarantees it. The seller is not paid by the app until the buyer rates him and makes it sure that the product is according to the description. If the buyer complains about the product, then the product can be returned, and payment is refunded. You can sell and buy the product by downloading the Mercari app without having a smartphone. Create an account directly on the company’s site and process it further. Some of the sellers complain that they did not receive their payment after selling their product. Some of the sellers were sad for being suspended for no reason. This app approves only buyer’s deceptions. There is help center for the buyers only not for the sellers. Sometimes you order the one product and may get the other. It is a common problem that you order the branded product and at the end received a faked one. If you applied for the refund in case of not liking the product you may have to wait for the reasonable period which is definitely frustrating. You can ask for the return within three days if the product is not according to the detail given or if it is damaged. Don’t rate the seller before refund otherwise your request may be rejected. Honestly speaking both the sellers and buyers had bad experiences, negative reviews are definite by the users. 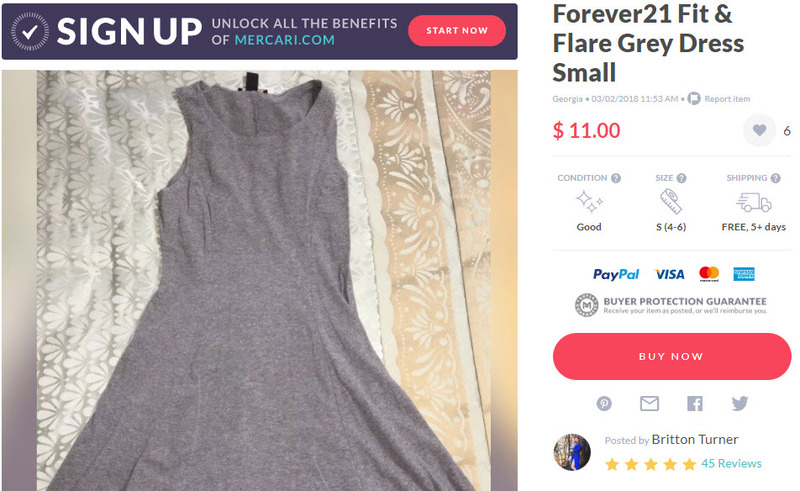 Mercari app is an honest source of linking the sellers and buyers. Now it depends on the two that how well and good they treat each other. We can’t blame the app for any problem. Many other mobile apps work in the same way as the Mercari. Some of which are OfferUp, Wallapop, USell.com, Listia, Zumu.com, SecondSpin.com, LetGo and many others. After reading the article, I am sure that you will be satisfied that it is not a scam and is an honest platform for selling and buying the products. Though there are some complaints I will advise you to make sure that whether it will suit you or not before joining it. If it suits you then definitely go for it without any delay as you can get anything you want without going to the market or can sell.